The nomination period for this year’s CYBILS Awards opens on October 1st and closes October 15th. Anyone can nominate their favorites in more than ten categories from picture books to Young Adult (one nomination per category). After you nominate it’s time to sit back and let the judges dig into the list of books. Winners are announced February 14, 2018. What an impressive body of work! Get your list together and nominate your favorite. You can even use one of mine! I learned earlier this week I’ll be returning as one of the CYBILS round 2 judges in this category. Our work does not begin until late December after the Round 1 judges finish paring down the list of close to—in all likelihood—one hundred nominated titles to a more workable 5-7. I’m looking forward to finding out which MG novels make the cut. This entry was posted in Book Lists and tagged Cybils, Middle Grade Fiction. Bookmark the permalink. Congrats on being a judge. And loved seeing your picks. Thanks for the list. I know you enjoy the judging. Congratulations on being one. I have so much reading to do and so little time!!! Now you have put more books on my list. I would never have the time to be a round one judge. Two years ago when I first judged in round 2 there were only five finalist books and I’d read one of them. Last year was even better—seven books and five all ready read. Well, we share favorites in common! The Last Cherry Blossom and The Only Road are also on my list — I select about five, just in case. Asked you a question about the ages on MG books. Normally MG is 8-12, but so many books are listed as 9- 12. Do they still fall into the category? Did you read Loving Vs Virginia? Does it fall under poetry as it’s written in free verse, fiction even though it has the appearance of NF? Sometimes it’s hard to determine where to put a nomination. I reviewed it as HF. 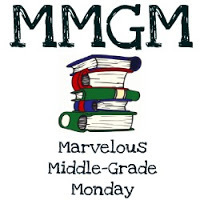 The MG category is typically for readers 8-13 though there has been an upper middle grade category in recent years catering to the 10-12 age group. I’ve read quite a few of those this year where the protagonist is 13 years old. I’m guessing Loving vs. Virginia would fall more into the free verse category. The CYBILS folks are good at getting the book into the right category. I know I placed one in the wrong category last year and it magically showed up in the correct one. Thank you so much. I’ve had some appear elsewhere too. And, I know they break them down even more into categories that don’t show — like elementary nonfiction and MG nonfiction. The best thing about this list is I’ve either read or have the physical books here ready to read this year. so, I love your choices! The Only Road was a bit violent– maybe more YA. And yes, the category organizers work behind the scenes to make sure books are in the right division.